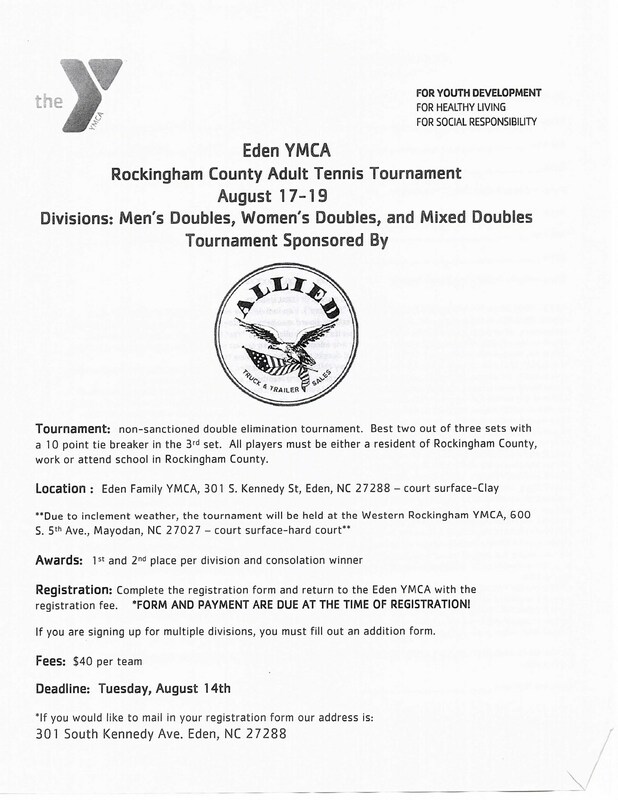 The Eden Family YMCA invites YOU to play in the Rockingham County Adult Doubles tournament hosted on their 4 clay courts. Grab your partner and get your rackets ready. Not a player yet? Drop by and cheer on the teams from court side. Registration is $40 per team and the deadline is September 1. Divisions: Men's Doubles, Women's Doubles on September 7-9 and Mixed Doubles on September 21-23. 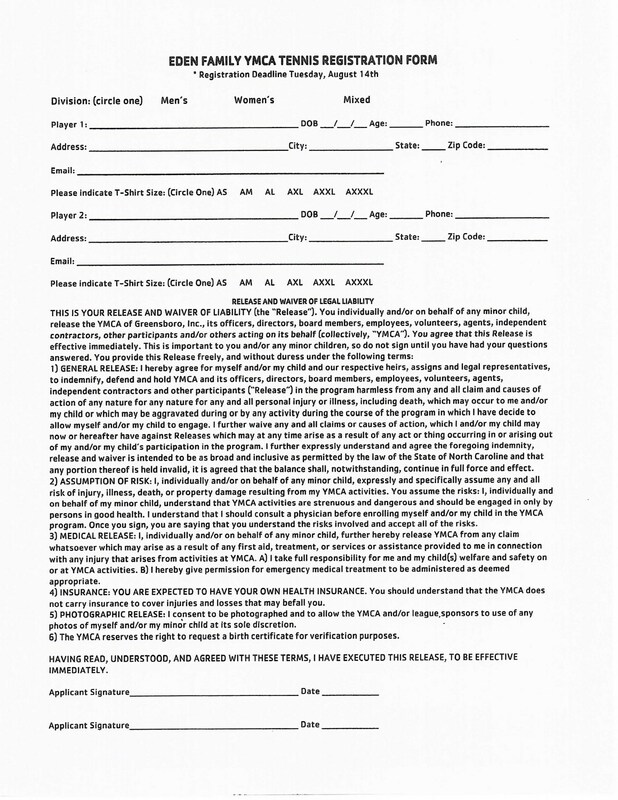 Mixed Doubles Deadline is September 15. The event is sponsored by our own Randy Carter and Allied Truck & Trailer Sales. YMCA teaching professional Bitrus Istifanus is the Tournament Director. Players 18 & over are welcome who are residents or attend school in Rockingham County. Spread the word. Let's play this game...together!